An outbreak of highly drug-resistant “super-gonorrhoea” is sweeping across Britain and could become untreatable, medics fear. A national alert was triggered by Public Health England last September after the rare strain of the sexually transmitted superbug was detected in 15 people. The number of confirmed cases has now risen to 34 and, according to reports, there is “huge concern” among doctors that it is spreading across the UK. And experts said it is at risk of becoming untreatable if the only fully effective antibiotic remaining fails. However, Public Health England (PHE) is understood to have acknowledged that efforts to contain the spread have been of “limited success”. The alert comes after Chancellor George Osborne warned resistance to antibiotics will become “an even greater threat to mankind than cancer” without global action. PHE said an increase in cases of super-gonorrhoea was a “further sign of the very real threat of antibiotic resistance to our ability to treat infections”. 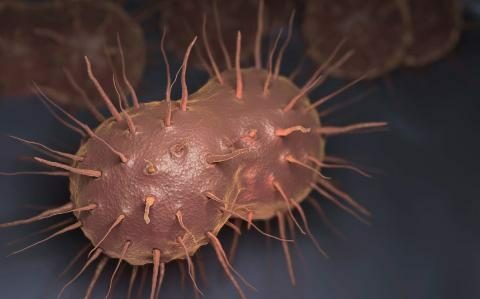 The British Association for Sexual Health and HIV issued an alert to clinicians urging them to follow up cases of high level drug resistant gonorrhoea and trace their sexual partners. Its president, Dr Elizabeth Carlin, told the BBC: “The spread of high level azithromycin-resistant gonorrhoea is a huge concern and it is essential that every effort is made to contain further spread. Last September, the outbreak of highly drug-resistant gonorrhoea was detected in the north of England, triggering a national alert. The outbreak, which was first detected in Leeds in March, had spread – with cases reported in patients from Macclesfield, Oldham and Scunthorpe. Around 10 per cent of men and almost half of women with gonorrhoea do not experience symptoms – meaning the condition can go untreated for some time. There were almost 35,000 cases of gonorrhoea reported in England last year. It is the second most common bacterial sexually transmitted infection in the UK after chlamydia. The majority of cases affect people under the age of 25. Experts from U.S. hospitals and institutions including Harvard University managed to transplant cells into mice, which immediately began producing insulin. 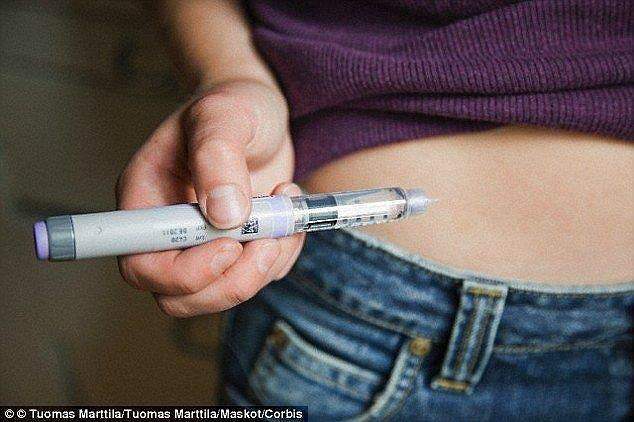 ‘These treatments aim to effectively establish long-term insulin independence and eliminate the daily burden of managing the disease for months, possibly years, at a time without the need for immune suppression. Commercial spaceflight company SpaceX sure knows how to give its equipment cool names. It has a Falcon 9 reusable rocket. It also has the Dragon 2 crew capsule, designed to ferry people into space and return them gently to Earth. The Dragon 2 sports eight SuperDraco engines (most likely a reference to the Latin for “dragon,” and not Draco Malfoy from “Harry Potter”). All eight of those engines are on display in footage showing what SpaceX calls a “picture-perfect propulsive hover test” for the Dragon 2. The video was taken on November 24, but released Thursday on YouTube. The SuperDraco thrusters are paired up around the edges of the capsule. You can see them firing distinctly in the video. SpaceX refers to these pairs as “jet packs,” in keeping with the company’s geeky-cool nomenclature. The engines produce 33,000 pounds of thrust that allow the capsule to hover like a graceful insect in the air for a few brief moments. The experiment was aimed at “demonstrating vehicle control while hovering.” The project is part of SpaceX’s work with NASA’s Commercial Crew Program, a public-private partnership focused on developing equipment for human space flight. SpaceX has lived through both triumph and heartbreak recently. It successfully returned its reusable Falcon 9 rocket to a landing pad after it launched and delivered 11 satellites into low-Earth orbit on December 21. Last week, the company took a third try at landing the Falcon 9 on a floating barge. For the third time, it failed to stick the landing and exploded. The successful Dragon 2 hover test is another check mark in the triumph column for SpaceX. Getting humans and gear back and forth to space has always been challenging, but the video is a fascinating glimpse at a future spacecraft that should one day carry people far above our planet. Commercial spaceflight company SpaceX enjoyed a triumphal moment this evening, conducting its first-ever landing of a Falcon 9 rocket on dry land after a successful launch on Monday. Livestreams from SpaceX’s headquarters showed employees breaking into cheers as the rocket touched down at Cape Canaveral Air Force Station, Florida. Creating reusable rockets that can land and relaunch is considered a major technological milestone that will significantly lower the cost of space travel. 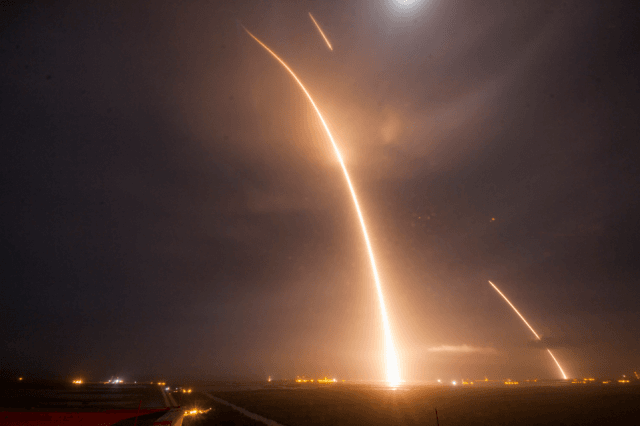 Multiple space companies were competing to achieve this breakthrough, but SpaceX is the first to succeed in landing a rocket for a non-suborbital trip. Unlike previous attempts, where SpaceX landed their rockets on ocean platforms, this was the first where the Falcon 9 rocket was able to land on dry ground. The mission’s primary objective was commercial: the company had been commissioned to launch satellites for the New Jersey-based communications company OrbComm. This was also a success, with all 11 satellites now in orbit around Earth. However, this will likely be dwarfed by the wider significance of SpaceX’s achievement, which has brought us a step closer to cheap, reusable rockets. As this technology develops, it will make recreational space travel, new manned expeditions to the Moon, and even to Mars, considerably more cost-effective. It’s a welcome end to the year for SpaceX, which had to deal with a debacle in June when a Falcon 9 rocket exploded shortly after takeoff, destroying a supply shipment intended for the International Space Station. According to SpaceX, the explosion was caused by a failed strut in the rocket’s upper state liquid-oxygen tank. It’s unlikely we’ll be wandering around on Mars anytime this year. But the prospect of viable, low-cost, private sector space travel suddenly seems a little less sci-fi.